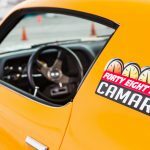 A few years back, we were a part of RideTech’s first 48-hour Camaro build with their 1967 Camaro. 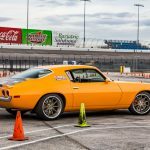 This year at Barrett-Jackson Scottsdale, they built a new 48-Hour Camaro and developed some new parts doing it. 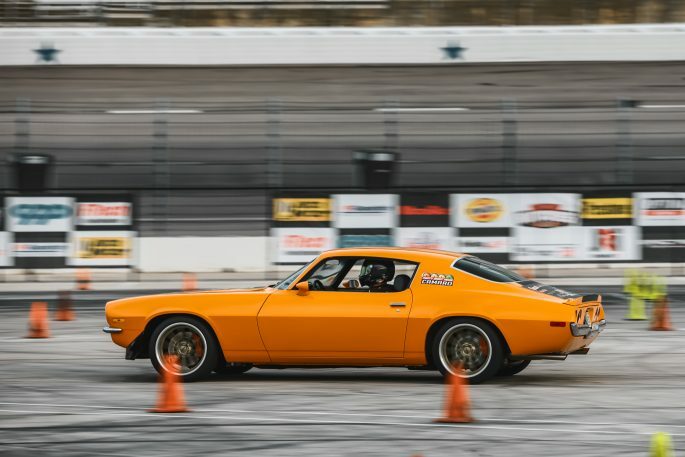 This Camaro was as rust free and 100% solid as the other. It came to Scottsdale equipped with their StreetGRIP system, but they had something else in mind. It was a frantic week trying to get the car finished. 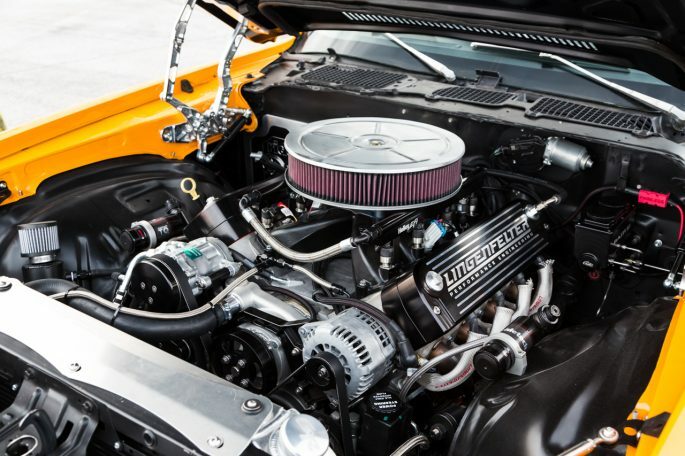 With everyone watching, the crew installed a ton of goodies including a hot Lingenfelter 550HP LS3, Bowler 4L75E, Currie 9 inch, big Baer brakes, Classic Instruments gauges, Holley EFI and their new bolt-on suspension system. I even caught Chad under the car installing the fuel system. Big project cars like this normally coincide with a new product release and this is no exception. 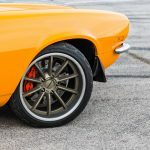 The Camaro received their new unicradle rear subframe bolt-on 4-link system. 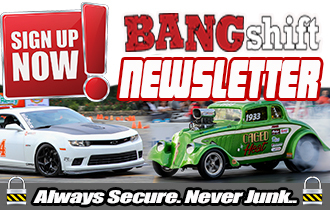 They released this new system at SEMA and you can check out more info on it HERE! 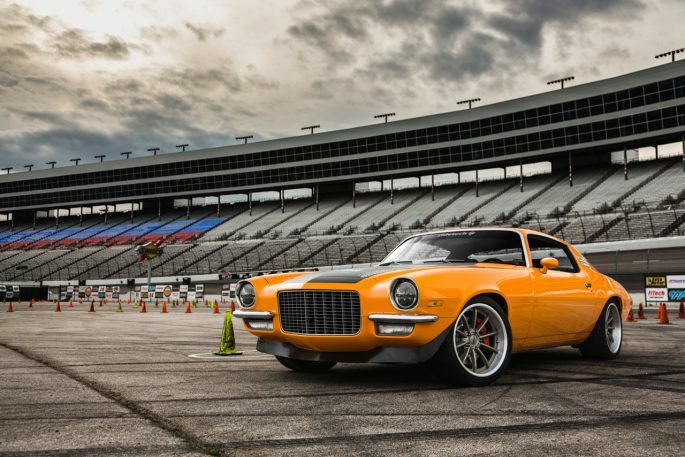 With all of these awesome parts, they managed to take on the big boys at the GoodGuys Lone Star Nationals autocross with a 100% bolt-together, all-steel 1970 Camaro with a stock subframe. This is a serious feat when you realize that many of these cars are lightweight tube chassis hot rods. They were only 1.5 seconds behind the top dog. 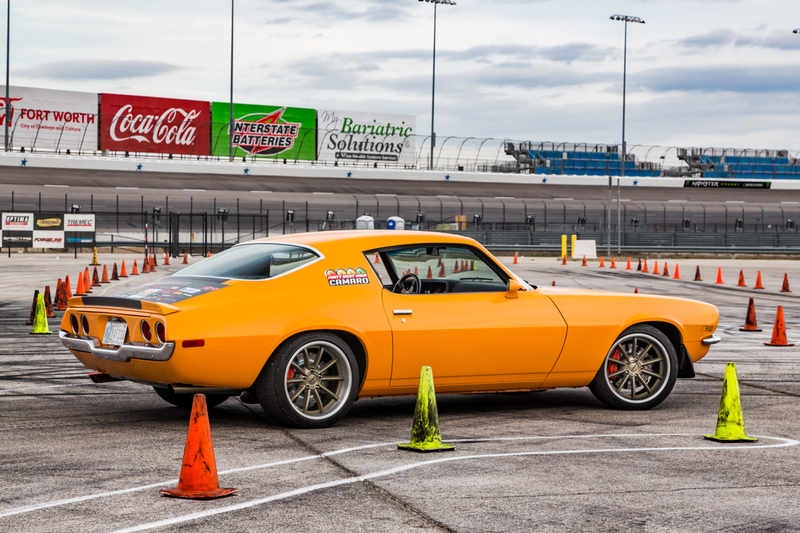 Also, at one point in the day Smitty ran a 43.6~, which would’ve put him in second place, but barely hit a cone. 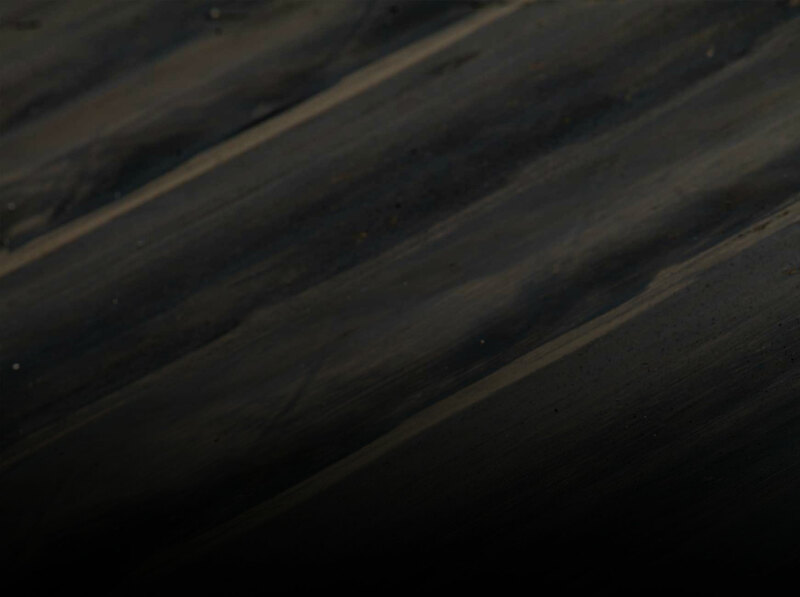 This car has a lot of potential and we can’t wait to see what it can do. 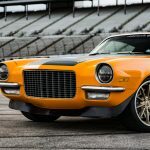 Want to build a Camaro like this yourself? 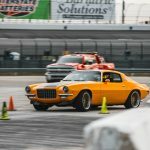 Thankfully Summit Racing put together parts combos where you can literally purchase everything it takes to transform a stock 2nd gen Camaro into the equivalent to the 48-Hour car you’ll see racing at GoodGuys events all over the country. 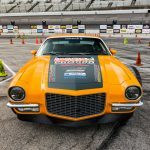 Be sure to check them out and stay tuned to see how the Camaro continues to perform as it takes on GoodGuys Scottsdale with its evil brother, the Track1 Camaro. 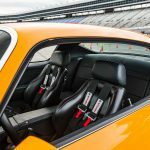 Is This The Ultimate Air Cooled Porsche? The Gunther Werks 400R Is Spectacular Rare Forced Air: This 1980 Monte Carlo Turbo Is Not Something You See Every Day!